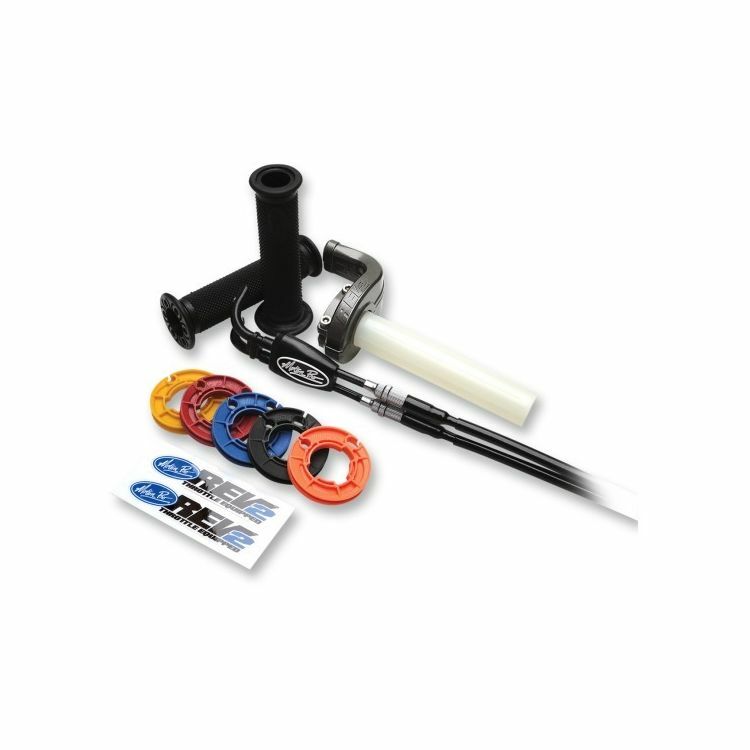 The second generation of MotionPro’s innovative reel changing system lets you tailor the throttle rate to riding conditions and rider preference. The Rev2 throttle includes several different size reels that will change how much twist is necessary for the throttle to completely open the carbs or throttle bodies on a motorcycle. The larger the reel is, the shorter the twist. Each reel size will shorten the twist by about 10 degrees. If your stock throttle has a 40mm reel and stock twist is 90 degrees (1/4 turn), the 45mm reel will reduce the twist to 80 degrees and the 50mm reel will reduce it to 70 degrees. The 35mm reel will increase the throttle twist to approximately 100 degrees. This is just an example; every model of motorcycle is different.